Showering manufacturer Roman has scooped the National Home Improvement Council (NHIC) Award for Innovation and Initiatives. The category promotes consumer safety through compliance in bathroom products and installation. Roman was presented the award for its product safety and ongoing promotion and communication of CE Marking. David Osborne warned of the CE timebomb as far back as 2014, stating non-compliance could mean a fine or prison time for re-sellers. The NHIC Awards have been established since 1974, and this year’s ceremony was a black tie event held at Whitehall Place in London. 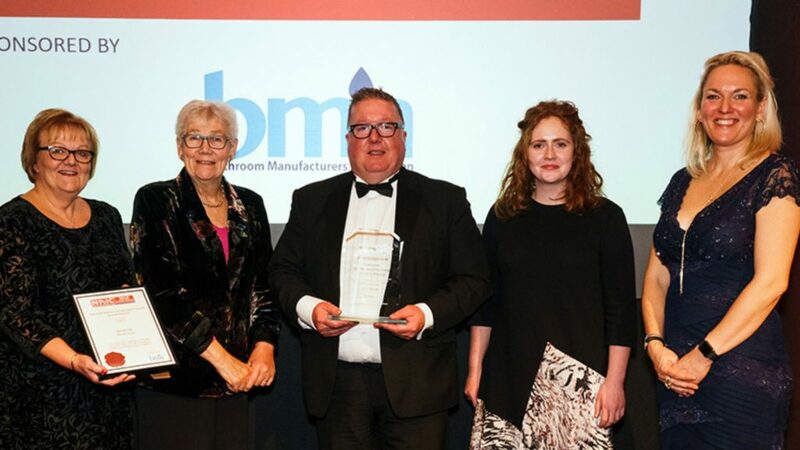 Managing director of Roman David Osborne commented: “As a British manufacturer, we’ve placed huge emphasis on our programme of conformity and CE Marking which all contributed to enhanced brand reputation.